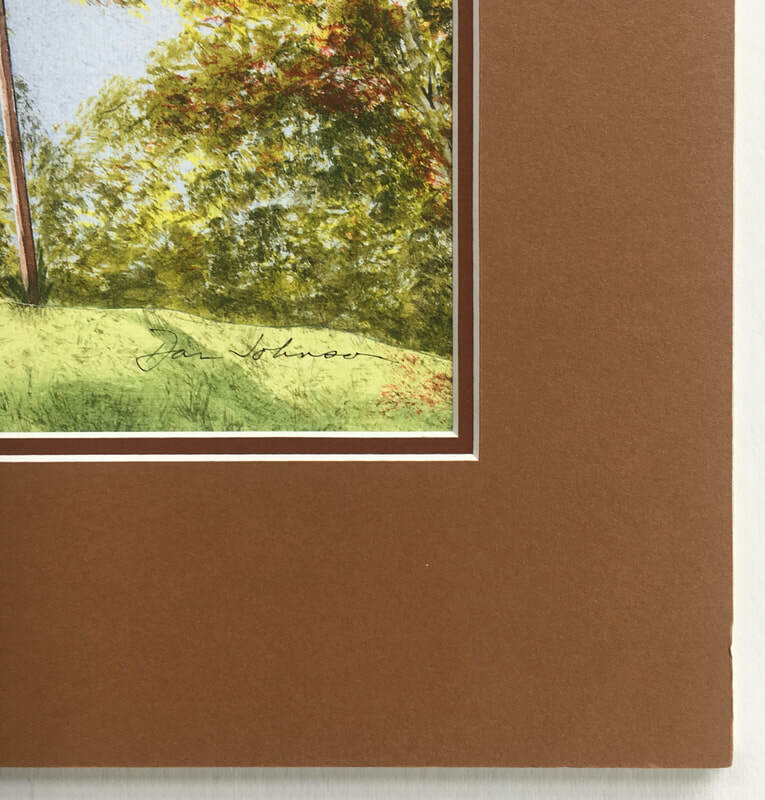 The Augustana Bell Tower painting ​by Dan Johnson is available for purchase at the Store. It as a signed Giclee print of the Bell Tower watercolor painting. The print was first presented at the 50th Reunion of the Class of 1968 at Augustana college in October 2018. A Giclee print is a museum quality print produced from digital scans and printed with archival quality inks. 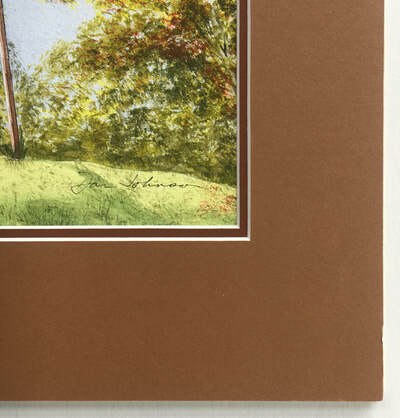 The image is printed on Cold Press, acid free, textured matte finish watercolor paper. The signed print comes complete with a 16 x 20 double mat board and backing as shown above. The matted print will fit a standard 16 x 20 frame. 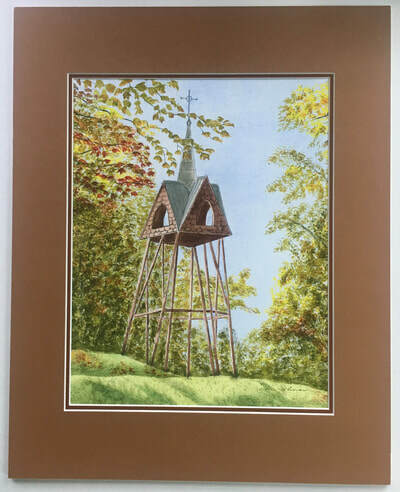 Your purchase of the matted Bell Tower painting will result in a donation to Augustana College. In honor of the 50th Reunion of the Class of 1968 50% of the price of the painting will be donated to Augustana College by Dan Johnson Designs for The Class of 1968 President’s Initiative Fund. The price of the Augustana Bell Tower painting is $160.00. ​The painting will be shipped directly to your address within 2-4 weeks of your order. Click here to go to the Store (scroll to the bottom of the items in the Store for Custom Products) to purchase the Bell Tower Painting. For more information on the Bell Tower see https://augustana.edu/about-us/news/bock-style-bell-tower-gets-makeover. Also available for purchase at the Store are Coasters, Table Saver/Trivets and Centerpiece/Placemats with the Bell Tower image and the inscription 50th Reunion Class of 1968 (as shown above). Descriptions and prices can be seen at the Store (scroll to the bottom for Custom Products). These items and are not included in the 50% donation to Augustana College.